It’s always important to remind oneself, when you’re deep into the HomeKit world and have umpteen devices covering all manner of areas, that there are still many people out there that haven’t even begun to scratch the surface of ‘Home Automation’ and ‘Smart Homes’ in general. Indeed, there are probably still many people who own an iPhone and an Apple TV, that have no idea about what potential they have at their disposal if they wanted it. 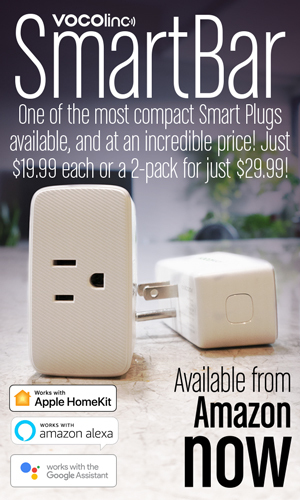 The reason I mention this, is because despite the fact that I’m in the position of reviewing yet another smart outlet, of which I must have around 10 different models/makes by now, and taking into account it’s a crowded market for smart plugs anyway, there are lots of people who don’t have a single smart plug, and so whilst those of us who started early didn’t have many choices, the people who are now getting into it are pretty much spoilt for choice, and that’s a good thing. 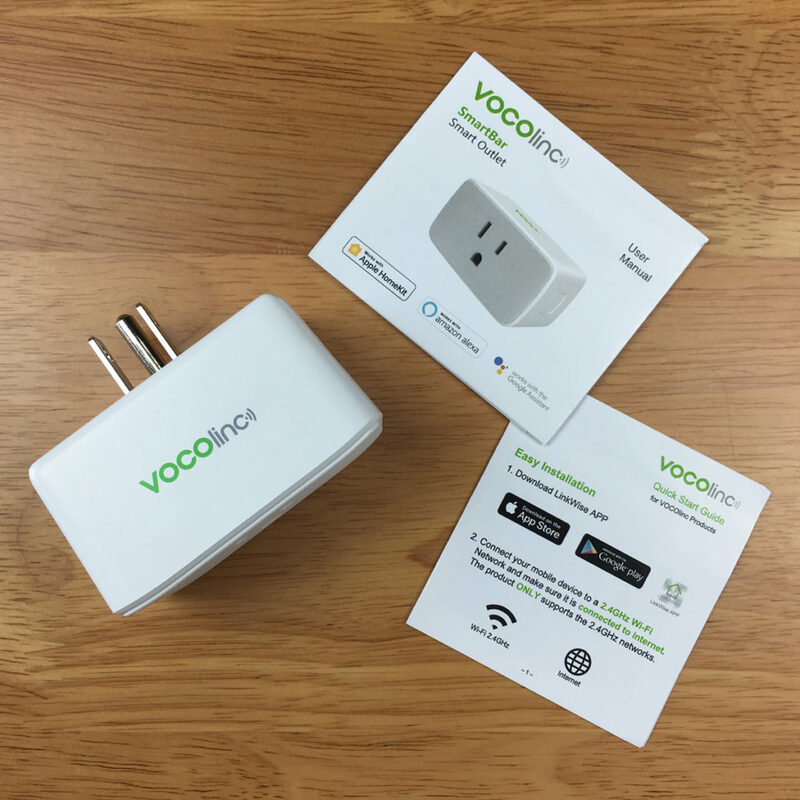 So while this is ‘just another smart plug’ to many, the Vocolinc SmartBar is also another option that fills certain needs, of which I’ll go into today. Starting, as I always do, with the packaging, Vocolinc on this occasion have dispensed with some of the trademark green of other boxes, and opted instead for a simpler approach, with the product featured on the front, the logos for the ‘big three’ home automation platforms on the side, and some brief info on the rear in addition to a plug for Vocolinc’s own LinkWise app. While the packaging isn’t as sturdy in relation to those for their other products, this is a low priced item, and I think they can be forgiven for trying to reduce costs where possible, without sacrificing the quality of the product on the inside. Having said that, these still provide more protection than the older Mijia/Aqara packaging I’ve seen, with Vocolinc providing an inner cardboard ‘wrap’ to keep the plug in place. 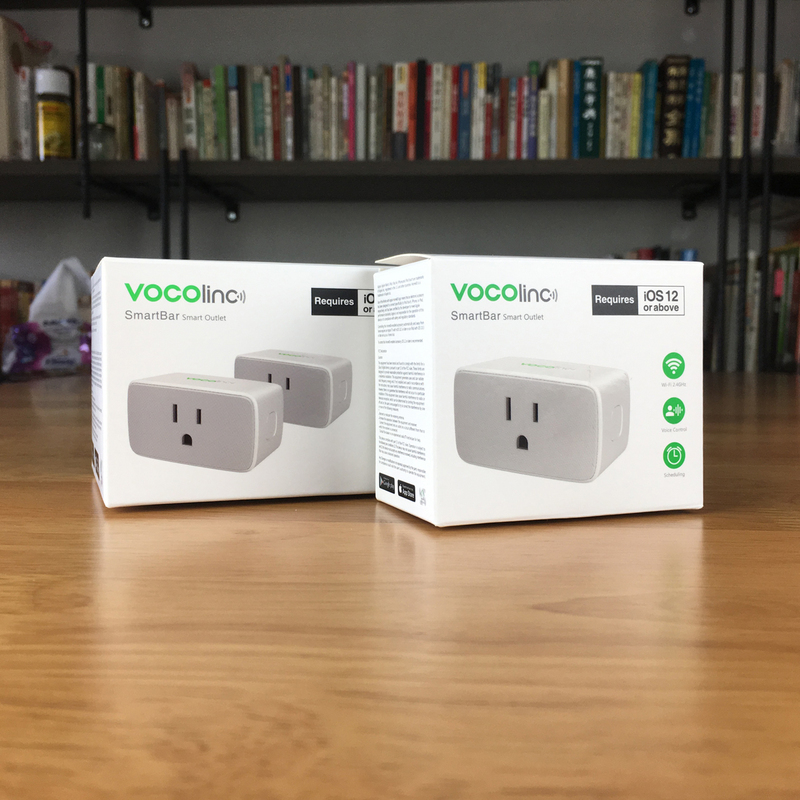 This goes for the single and double pack of course, and if you’re in the market for a few smart plugs, getting the double pack does offer a generous saving, with the single pack priced at US$21.99 and the double pack at only US$36.99. So if you bought the double pack versus two single packs – which totals $43.98, the double pack saves you just under US$7.00. 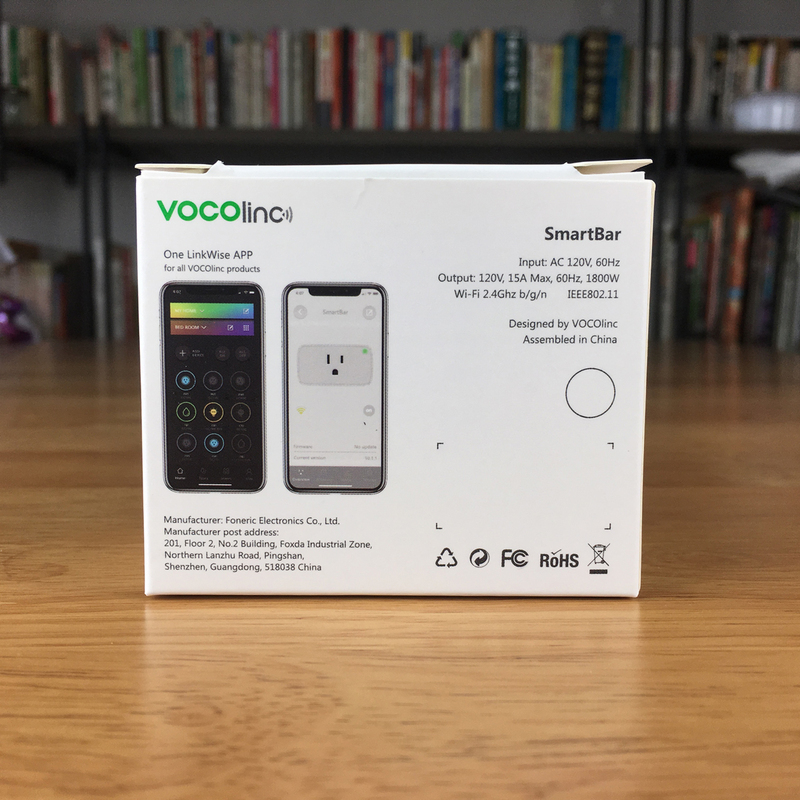 The contents of the box are simply the SmartBar itself, the user manual in English, and a ‘quick start’ card to help get you up and running quickly. 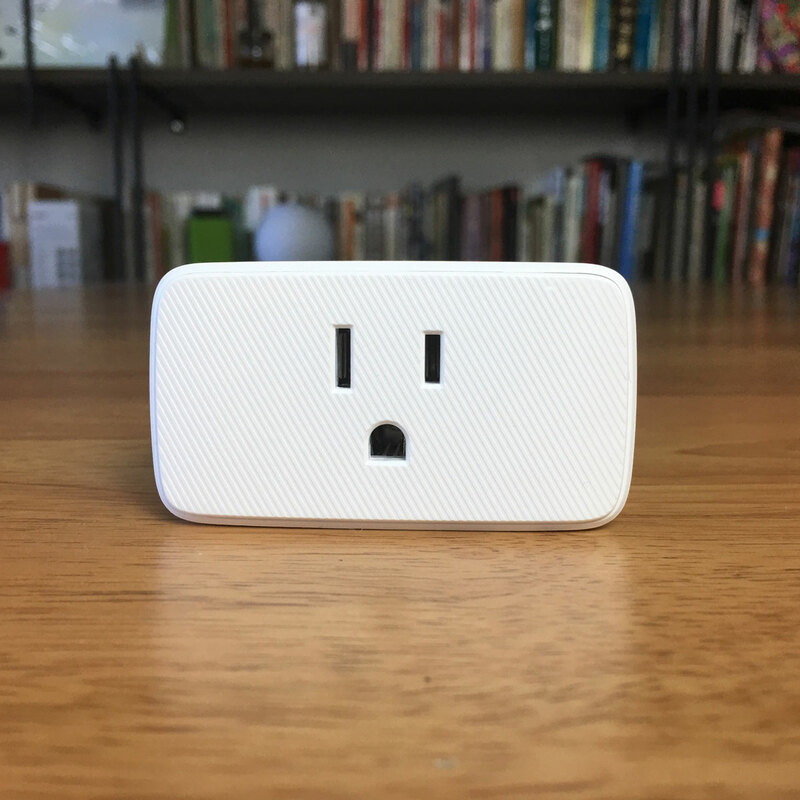 So what we have here essentially is a HomeKit-compatible smart socket, that also works with Google Assistant and Amazon Alexa, just like their other devices (except their T-Guard Smart Lock). 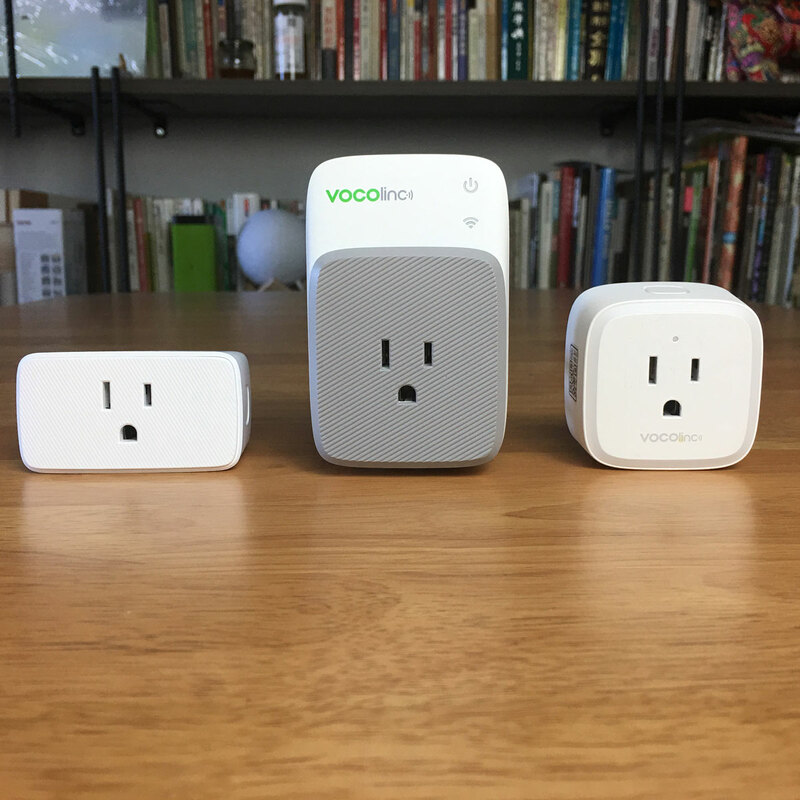 Like the Vocolinc PM3, it’s capable of handling up to 1800w, although the SmartBar doesn’t have a night-light (like the PM1 or PM3) or USB sockets (like the PM2 or PM3). 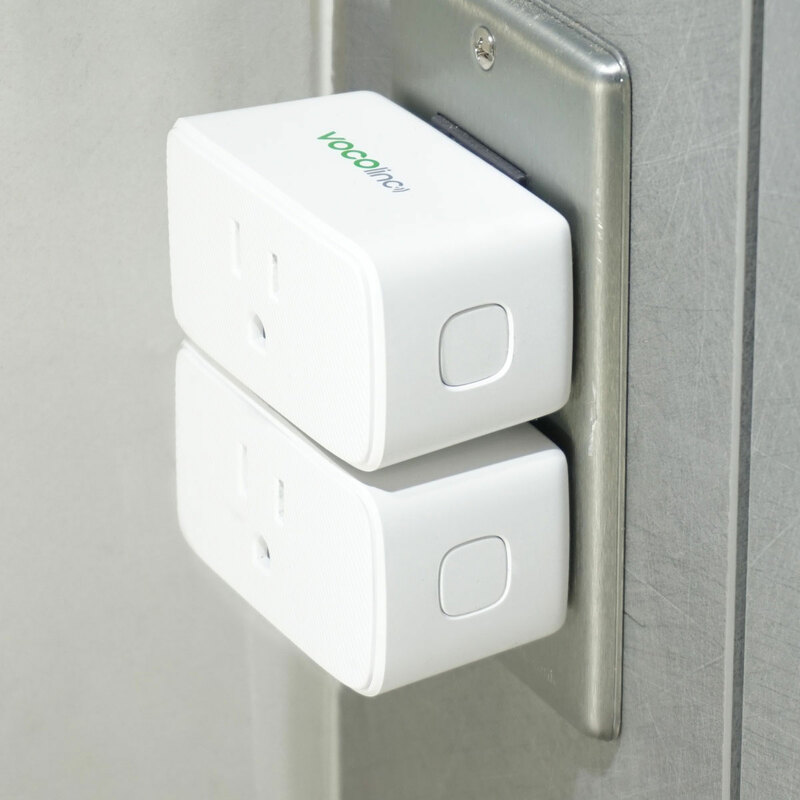 This is meant to be a discrete smart plug that takes as little room as possible with as much power as possible. In that respect, it easily fits the bill. 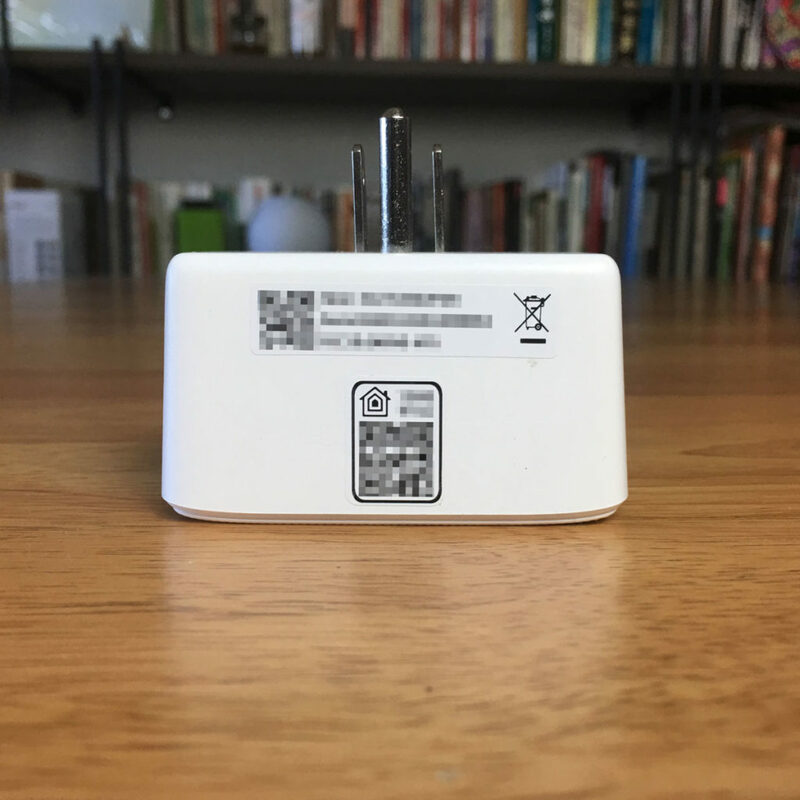 Whilst the shape is basically oblong, it tapers inwards towards the back, which is useful for when you want to remove it from the wall socket, as it gives you a bit more grip. 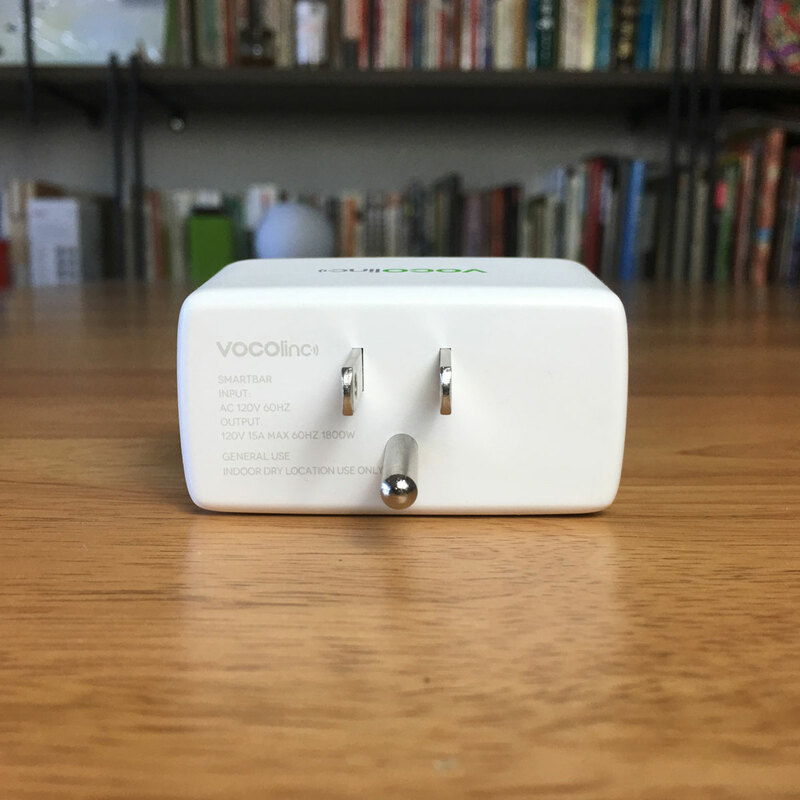 The entire body of the device is standard flame-retardant white plastic, with the front of the socket having a diagonal grooved pattern, and if you’re familiar with the Vocolinc PM3, it’s exactly the same. 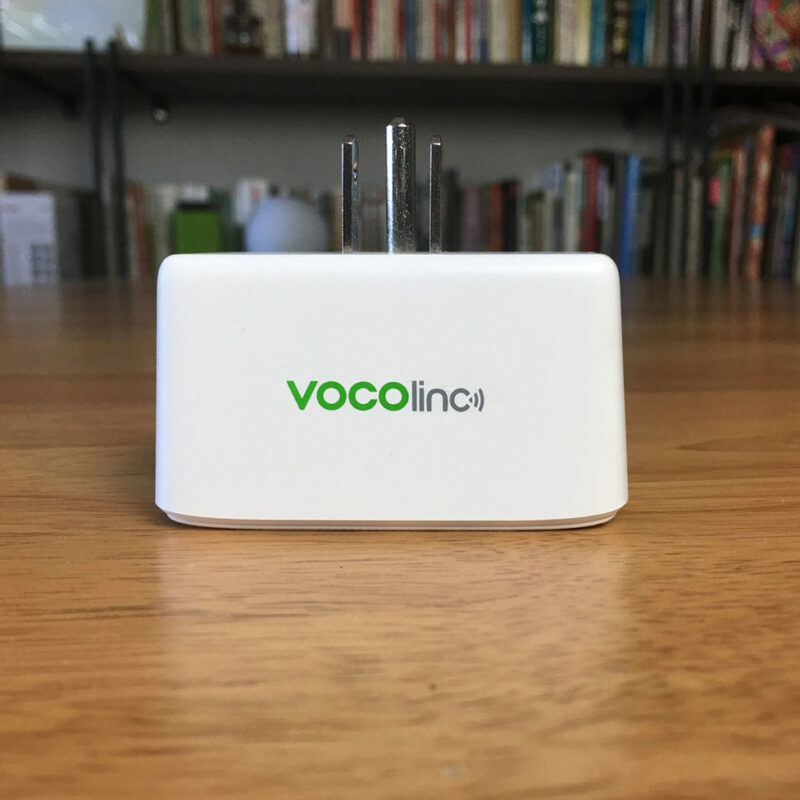 Currently, Vocolinc only has the white version available, with a grey version to possibly follow at a later date. Aside from the colour, there’s no difference between the two. 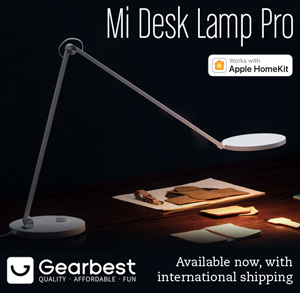 The size of the device is something that some people will find super handy, even if not unique. At its smallest, it measures 65mm wide, 32mm high and 38mm deep. 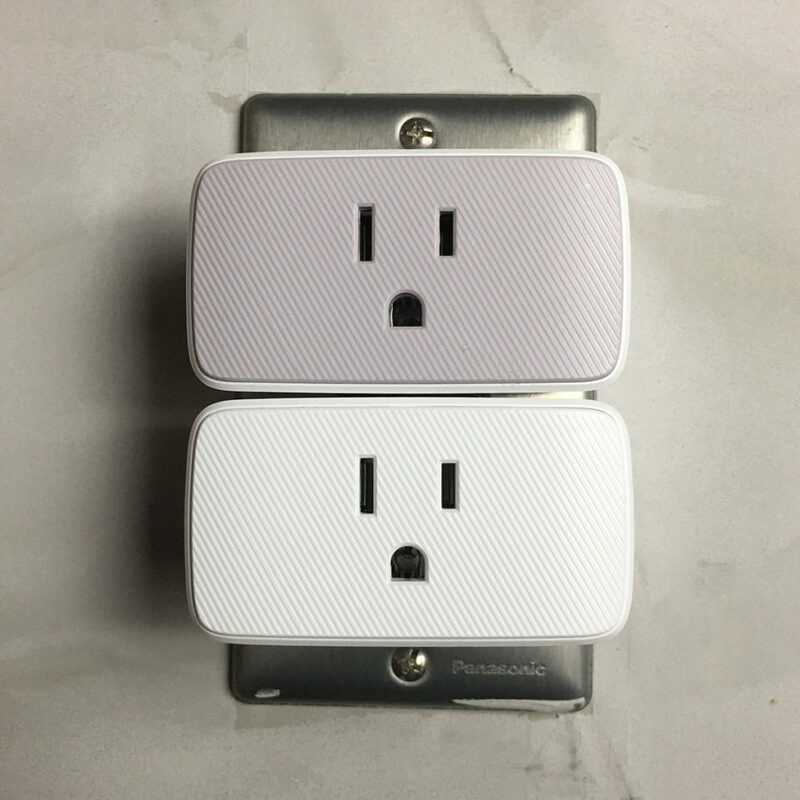 With many smart plugs, they tend to cover both outlets of a dual wall socket, which is a waste, but like iHome, iDevices and with the WeMo Mini Smart plug, you can actually have two of these side by side without any issues at all. Overall, this is the smallest of the three that I mention here, with the iDevices Switch coming closest. 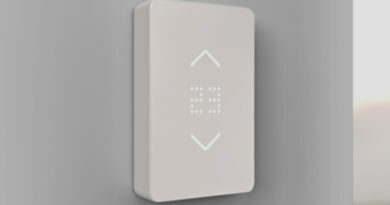 The ‘Switch’ does have a full-colour night-light and comes with the socket on the side though, so it all depends on what you require. As you can see in the images above, the SmartBar certainly beats out the WeMo in terms of width, even though it’s slightly deeper it’s pretty much on a par with the iDevices Switch. 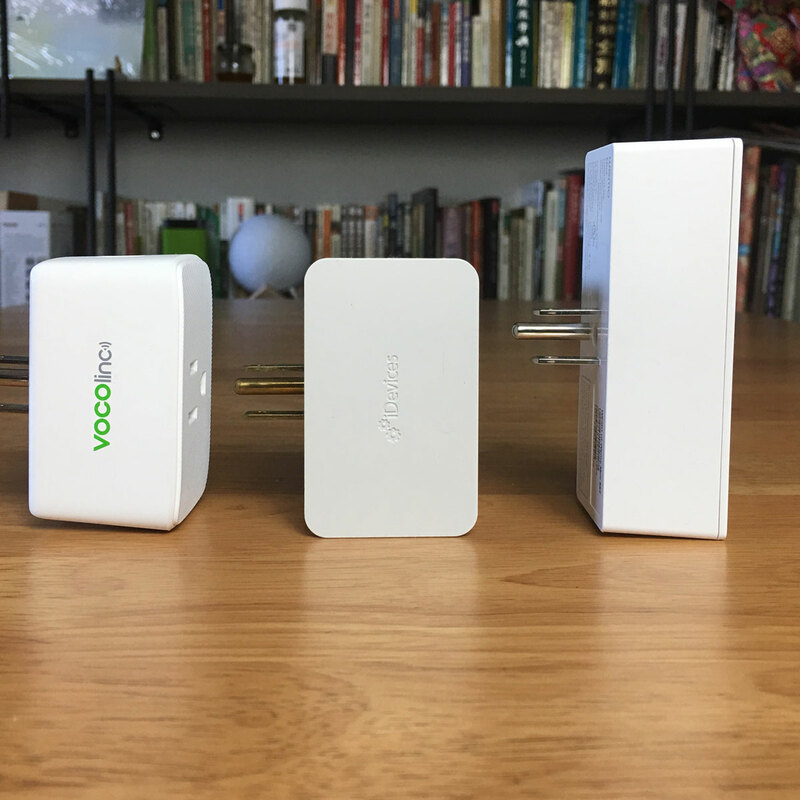 Of the three plugs here, they all top out at 1800w, so going back to my original point, we have three choices here for (slightly) different requirements, which is great if you want something with specific dimensions. 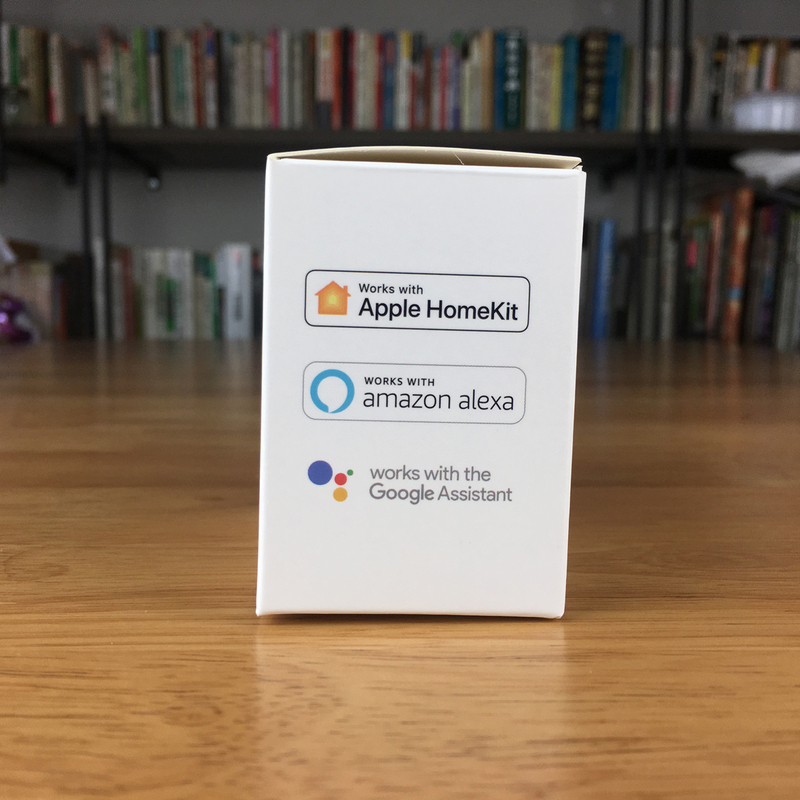 When it comes to the SmartBar, I originally thought I had what I billed as the first HomeKit device that came with the new HomeKit Software Authentication built-in. The reason I thought this was, although the aforementioned WeMo Mini I have uses Software Authentication to work, it required a firmware update, and as it wasn’t HomeKit at the time of sale, it also didn’t come with a HomeKit code, whereas the SmartBar does. So, for that reason, I singled it out as a ‘first’. 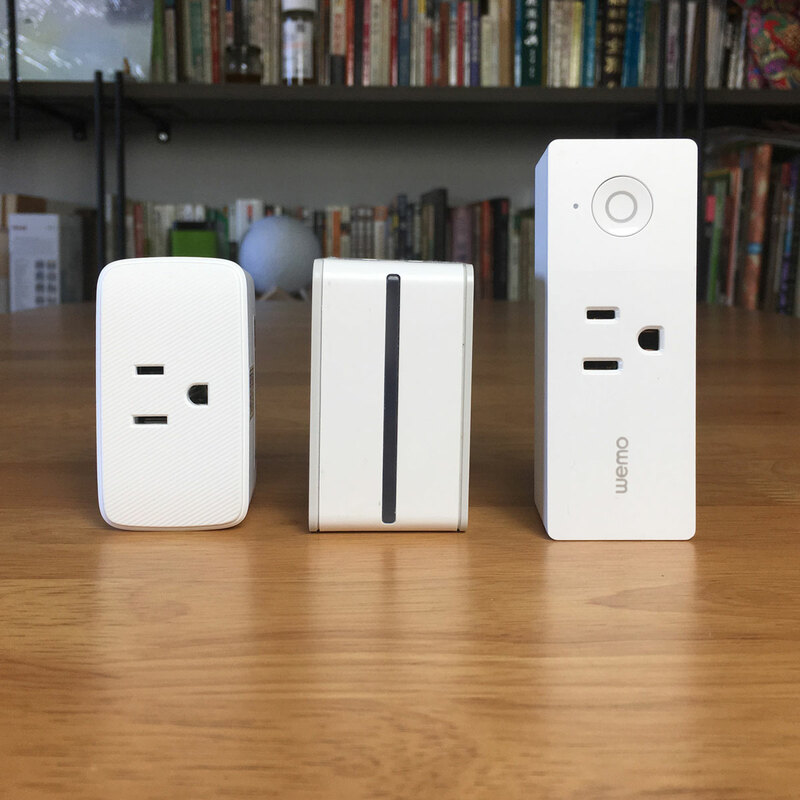 However, I’ve since learned that there is a 2nd Gen. WeMo Mini that does come with a HomeKit code and also doesn’t require a firmware update as such, so it’s not a ‘first’, but at the end of the day, it’s still one of the very few devices to come with the new protocol ready out of the box, and in terms of functionality and speed it certainly doesn’t seem to make it in any way slower, but rather the opposite. The SmartBar connects to your HomeKit setup using wi-fi, and so for the most basic of operation, there’s no need for a hub, although if you want to create automations, schedules or have remote access, you’re going to need a hub (Apple TV, iPad or HomePod). I’ve had the SmartBar (actually two of them) since just before Christmas, and I’ve had them on test from that day onwards. Adding them to HomeKit was just the same and as simple as ever, using the HomeKit code on the devices, so in terms of the Software Authentication side of things, you really don’t notice any difference. Once added, I was happy to note that the response time, when clicking on the tiles in the Home app, was very fast, almost to the point of being instantaneous. Whether this has to do with the software instead of the dedicated chip I don’t know, but it could also be due to the wi-fi chip that is in use, which I’m told for many devices, is a Qualcomm chip. 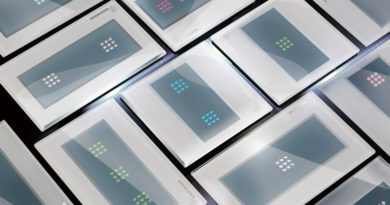 The SmartBar apparently uses a custom wi-fi chip designed for Vocolinc, and if this is the reason for the reaction times, it certainly seems to work. In the past 6-7 weeks, I’ve had only two disconnections from the network, and even though they are quite near to both the router and the Apple TV, my network does need some work, so I’m inclined to put the blame on my router as opposed to the SmartBar. Resolving the issue just involved removing them from the outlet and plugging them back in again, with reconnection being quite fast too. 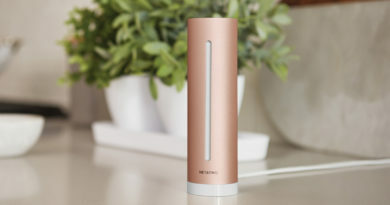 As it’s just a smart plug, with no extras like the PM3 (night-light and USB ports) or the PM1 (night-light), there’s not a lot to distinguish it per se. What I do like in terms of design though, would be the power indicator, which is a simple green LED that hides itself just beneath the surface of the grooved front face panel. When it’s off, it’s invisible, and when it’s on, it’s clear to see, so essentially there’s no visible LED ‘hole’ or ‘diode’ to see as such. It’s a small but thoughtful piece of design. So, wrapping up, I’d say that, going back to my original point, this is simply another choice when it comes to shopping around for a smart plug. 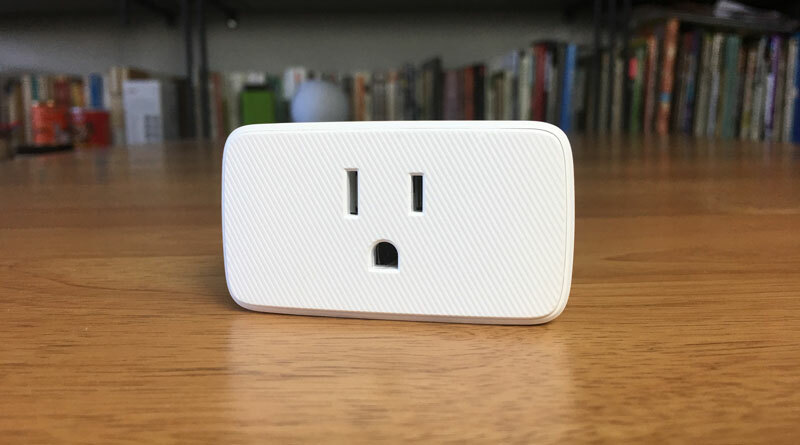 As it works with the ‘Big 3’ (Amazon, Google and HomeKit), then it certainly makes more sense to buy this than one of the ‘Alexa-only’ compatible smart plugs, and if space is at a premium, especially if you don’t want to block one of your outlets, then it’s a worthy contender. 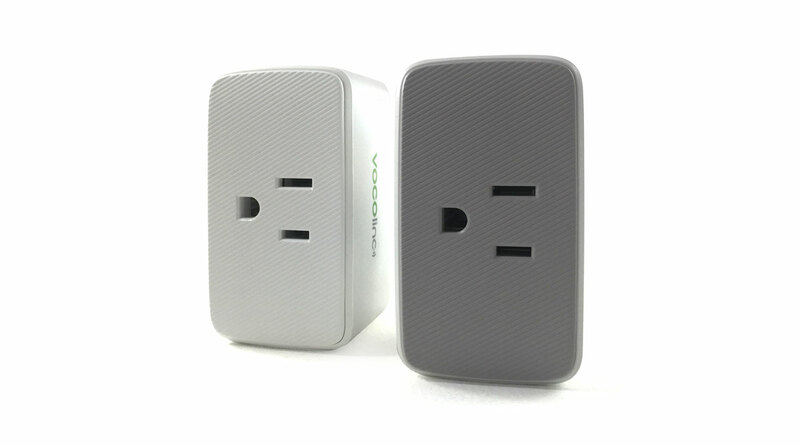 Amazon currently has them available as a single smart plug for $21.99, or a 2-pack for a mere $36.99, so that makes them $18.50 a piece, which is hard to beat (assuming you want or can use two). 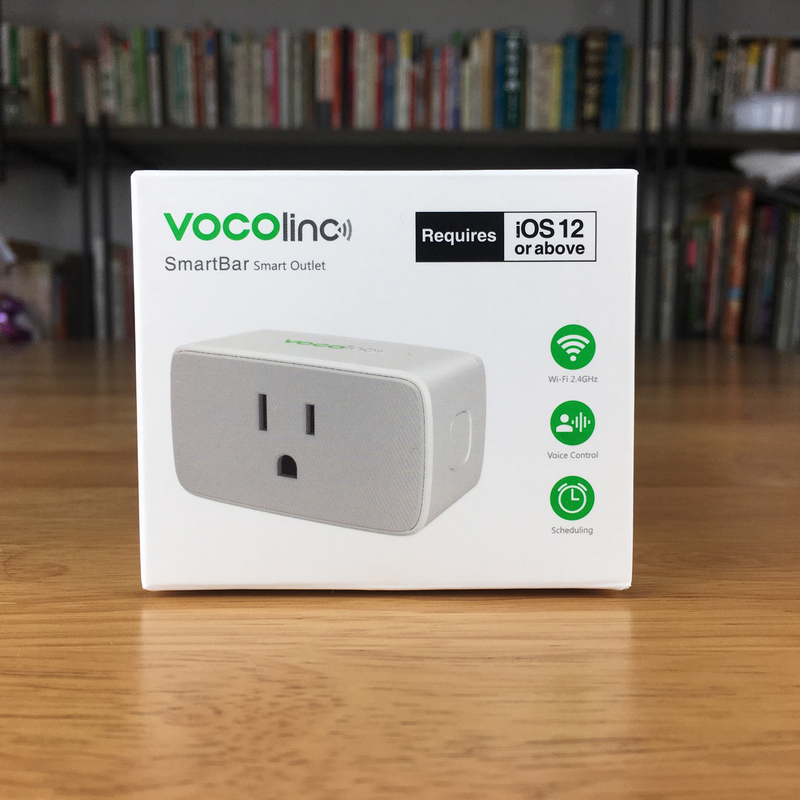 Full disclosure: Vocolinc provided HomeKit News with the SmartBar Smart Plug for the purpose of this review. No other compensation was made or requested. I’ve got to say, not too pleased with these myself. I don’t have any network issues at all and have a very robust WiFi network yet these things keep disconnecting like crazy. Very disappointed. They’re the only ones out of my 40 or more Homekit devices that lose connection, and both outlets are in plain sight of an access point. 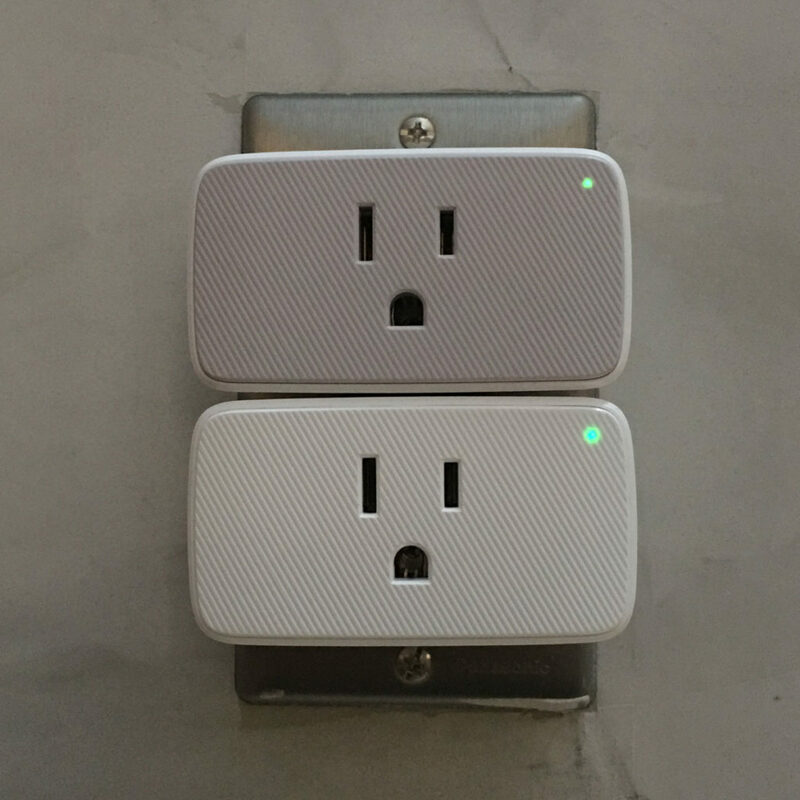 I’m inclined to believe it’s poor firmware, a smart outlet needs to be reliable otherwise it’s useless, and these don’t even stay connected for a day. Hi, thanks for letting Me know. I’ll fix it immediately.